COP24 KatowiceAnalysis: Which countries have sent the most delegates to COP24? On Sunday, the 24th Conference of the Parties (COP24) got underway in Katowice in Poland, bringing thousands of negotiators together for two weeks of intensive climate talks. 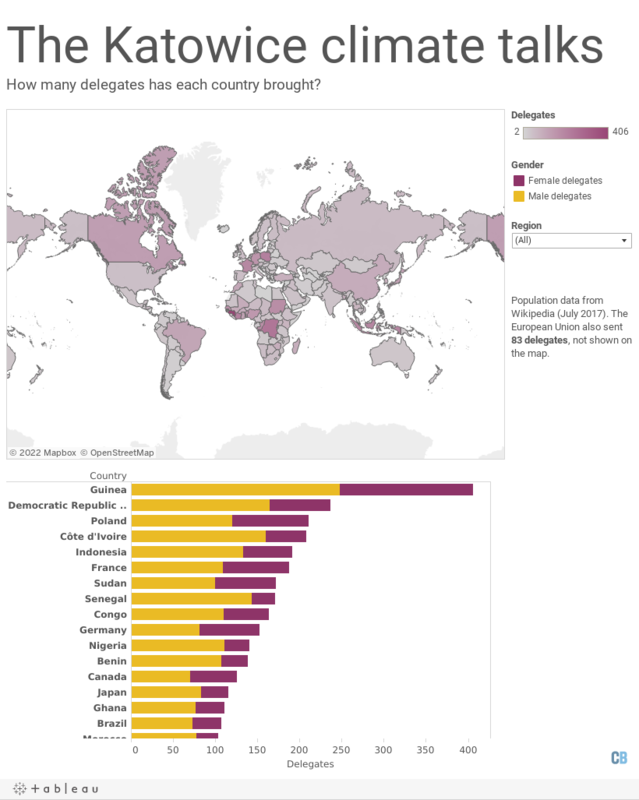 The full list of party delegation sizes and their gender balances can also be found here. The UNFCCC list provides the delegate names. COP24 Katowice | December 12. 2015. Analysis: Which countries have sent the most delegates to COP23? COP24 Katowice | September 9. 2014. COP24 Katowice | October 10. 2014.